A new insurance claim is made every six minutes following car theft in the UK, prompting insurers to echo concerns over some keyless vehicles. The Association of British Insurers (ABI) said £376m was paid out by its members last year following vehicles being stolen, a 29% rise on 2017. While it has no data on what proportion of these were keyless vehicles it said thefts of these cars had risen. Researchers have said some new car models are vulnerable. Also, Thatcham initially rated the Porsche Macan as "poor", but retested the car and graded it as "superior". However, it suggested that the average vehicle insurance premium had fallen owing to competition in the market. Keyless car entry systems let drivers open and start their cars without taking their key out of their pocket. 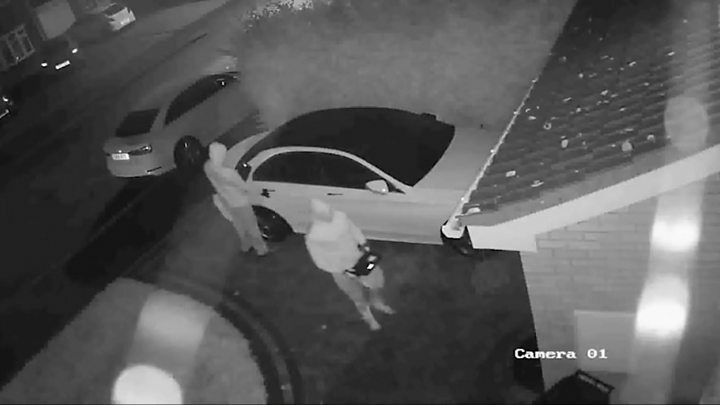 Thieves, normally working in pairs, will target a car parked outside a house. One criminal will hold a device close to the car that boosts the signal meant for the key, while the other thief will stand close to the house with another device that relays that signal to the key, fooling the system. Once the cars have been stolen, they will be stripped for parts, police say.